Powered by Mom Blog is part of this wonderful flash giveaway! 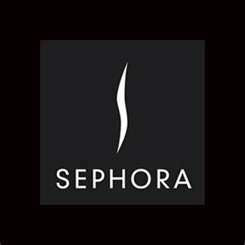 $35 Sephora Gift Card 24-Hour FLASH Giveaway!!! fill out and you will know if you WIN in just a couple of hours! WHAT FUN! Good luck on this 24-hour flash giveaway! See you back on Friday for another great FLASH giveaway! * NOTE: You can choose PayPal or Amazon GC instead of the Sephora GC if you are the WINNER!!! I definately need my lipliner! Can’t leave my house w/o it. Brings color to my face. Also, makes me teeth look whiter. I must have primer always.. I have a MAC eyes shadow palette! I have to have my false eyelashes. I feel naked without them!!! A moisturizing lipstick or gloss. Mascara is my makeup must have! Mascara or eyeliner. Both make a huge difference! Almost everything but have to say mascara. Loving the Make up for ever aqua smokey lash. I have to have eyeliner! I never go without it! 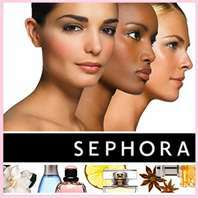 My Bare Minerals, I have to have foundation on so this is the easiest and lest messy product. I love Stila’s Moisturizing Foundation! My wife said her favorote must have makeup was her Ski Bunny lip and cheek stain…. ??? I would love to win the gift card for her. She always looks good and uses very little makeup. I don’t have a clue what she would buy with it, but I’m sure she would be excited if I won it for her. Definately something for my lips they dry very quickly! Have to be eyeliner!!! I love perfume too!!! It would have to be mascara, without that i feel naked. definately lipgloss- I use it a million times a day! I always always have to have mascara and lip gloss. My must have is foundation.